United Airlines shares plunged 12% after CEO Oscar Munoz told investors the company has dug itself into "a little bit of a competitive hole." During an earnings call Thursday morning, Munoz and other company executives faced a firestorm of questions from Wall Street analysts about the company's performance. And, apparently, their answers did little to quell investors' concerns. United has suffered lately as the company has struggled to keep costs down, maintain its market share, and earn back customers' trust amid a high-profile customer service scandal that rocked the company in April. Its shares are down nearly 18% so far this year. The airline was already in a rough patch when Munoz took over in September 2015. 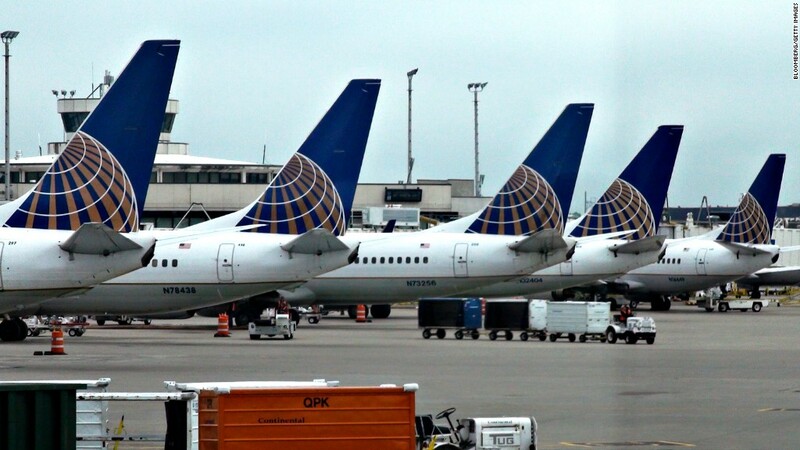 United's 2010 merger with Continental Airlines left the company internally fractured, and Munoz's predecessor was ousted amid a scandal involving collusion with elected officials. While executives maintained an optimistic tone on Thursday, they also frustrated some analyst by deflecting questions about the company's 2018 outlook. "So as we head into 2018, one of the reasons we're not talking too much about it is we are deep, deep at work with regards to that," Munoz said in response to one inquiry about the company's profit expectations. In an effort to get back on track, the company has made some bold moves recently. For instance, it's now trying to compete in the ultra-cheap flying market by offering cheaper tickets for no-amenities flights, where people are charged for bringing a carry-on bag. Kirby said he thinks the company is a good position to compete with other "ultra-low-cost carriers" in the U.S., but admitted the strategy hasn't been without its hangups. Some of the company's woes have been beyond its control, such as the unusually disastrous hurricane season that forced thousands of flight cancellations. But perhaps the most notable incident this year was the forced removal of a passenger from one of its flights. The ordeal -- which left the customer bloodied and with a broken nose -- led to widespread outrage and badly damaged United's image. Since then, United (UAL) has looked to vastly improve customer service. The company said Thursday it has significantly reduced the number of times it's had to boot a passenger off a flight due to overbooking. The airline didn't have to involuntarily deny boarding to a single passenger for 28 days out of the last quarter, it said. "And for context, prior to this year, United didn't have a single day with zero," Munoz told investors. --CNNMoney's Jon Ostrower contributed to this report.